The Love Yourself Inc. is a non-profit organisation that aims to prevent the spread of HIV/AIDS among the youth and key affected population in the Philippines. Founded in 2011, it has grown into an active community of more than 500 volunteers. 50% of newly diagnosed cases in NCR come from its testing drives. It’s the only community-run center that provides testing, counselling and education for free. Early this year its services expanded to include treatment and medical consultations with its new office in Taft, Manila. KØSMOS is a collective of LGBT DJs formed in January 2015 to sow a true counter club culture within the commmunity. After playing in popular clubs such as Hyve, TIME in Manila, Pangea, Government, Today x Future, Black Market as well as for previous years’ pride parties, the group successfully put up its first own LGBT targeted event last April at Vyne and most recently last December Kosmic Pride at TIME in Manila. Cherry Poppin’ is an event by LoveYourself, an HIV awareness and advocacy group, first held in 2015 to create a venue for members of the LGBT community and their friends, regardless of sexuality, to mingle with one another, dance to music, and have fun in a cool party atmosphere. And due to its resounding success last year, here comes The Second Comin’, and it is going to taste better the second time around. This year, Cherry Poppin’ – The Second Comin’ will be presented together with Kosmos, a collective of local LGBT DJ’s. A donation of PHP300 grants you one ticket, inclusive of a free drink, and will help fund the activities of LoveYourself. Cherry Poppin’ will be piped with beats from upcoming DJ act Geert Major aka GARUDA, who will be supported by Kosmos’ in-house roster of DJ’s: DEEJ DIAZ, KAZWAL, and MIKE LAVET. Dutch DJ and music producer Garuda has been performing at top clubs in Thailand and Manila, as well as in his native Netherlands. The night heats up with a fun date auction. Get a chance to go out on a date with dashing bachelors. Take your pick from a selection of models and professionals, including a boy-next-door medical doctor, a hot stud who practices veterinary medicine, a graphic artist, a stage performer, and other good-looking professionals who will, without doubt, tickle your fancy, or probably even more than that! These men will definitely engage your mind and senses and touch your heart over a romantic dinner or a movie or concert date – just you and him. See good-looking bachelors and your possible dates-to-be strut their stuff down the ramp in a fashion show that’s also going to be a feast for the eyes – about a dozen or so handsome men donned in apparel highlighting the freshest fashion trends. With this lineup of events for Cherry Poppin’ – The Second Comin’, isn’t the second time even more irresistibly tempting? So, what are you waiting for? Why not go reserve and pre-purchase a ticket now? Feel free to send a message at our page for any queries. For ticket reservations, you may contact 09178608244 or sign up here. You can also follow our event page to keep yourself posted on updates. 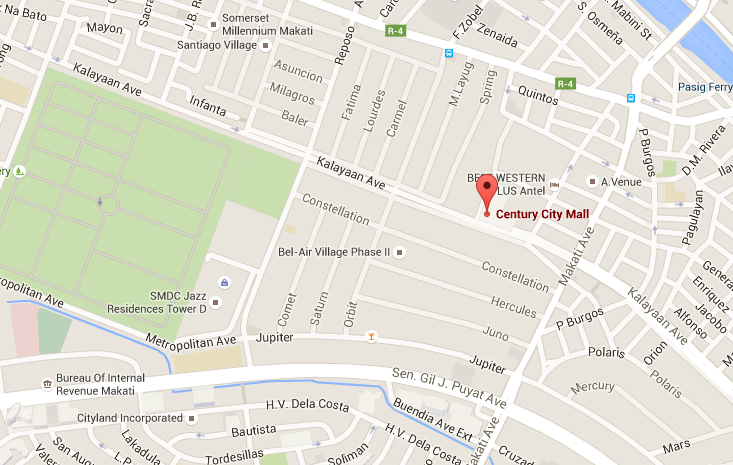 Century City Mall Events Center is located at level 5 of the Century City Mall, not far from the intersection of Makati Avenue and Kalayaan Avenue in Makati City. The mall can be accessed from either road. 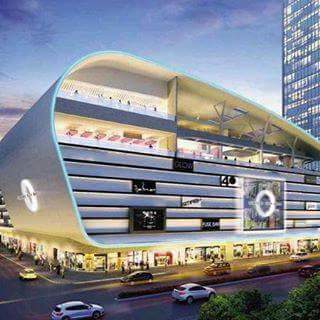 The area is accessible to public transportation and basement parking space is available in the mall.